Opemiska copper complex. Image by Power Ore.
Toronto-based Power Ore (CVE: PORE) plans to buy the Opemiska copper complex from Explorateurs-Innovateurs de Quebec(Ex-In), a privately owned company. The property – consisting of the historic Springer and Perry mines and the mill – was operated by Falconbridge from 1953 to 1991. The two mines yielded 23 million tonnes of ore grading 2.4% copper and 0.3 g/t gold. The Opemiska complex is adjacent to the town of Chapais, which makes it eligible for provincial support under the terms of Quebec’s Plan Nord. The two mines yielded 23 million tonnes of ore grading 2.4% copper and 0.3 g/t gold. Together they produced more than 1.0 billion lb. of copper and almost 206,000 oz. of gold. Power Ore intends to purchase 100% of the Opemiska complex in a cash and share deal. It will undertake work at the property and make payments to Ex-In totaling $4.5 million within 42 months after the deal closes. Power One will also periodically issue a total of 6.5 million shares and 6.5 million warrants to Ex-In. The property is subject to a 2% net smelter royalty, half of which Power Ore can purchase for $4.5 million. During the time Ex-In owned the property, it digitized most of the data from the previous operation and commissioned RPA to prepare an estimate of “conceptual resources”. The study outlined between 14.5 million and 30.0 million tonnes grading 1.0% to 1.4% copper and 0.41 to 0.69 g/t gold at Springer, plus 400,000 to 1.3 million tonnes grading between 1.0% and 1.5% copper at Perry. An additional underground target was described at Perry as having between 2.7 and 10.0 million tonnes between 1.5 % and 2.5% copper. 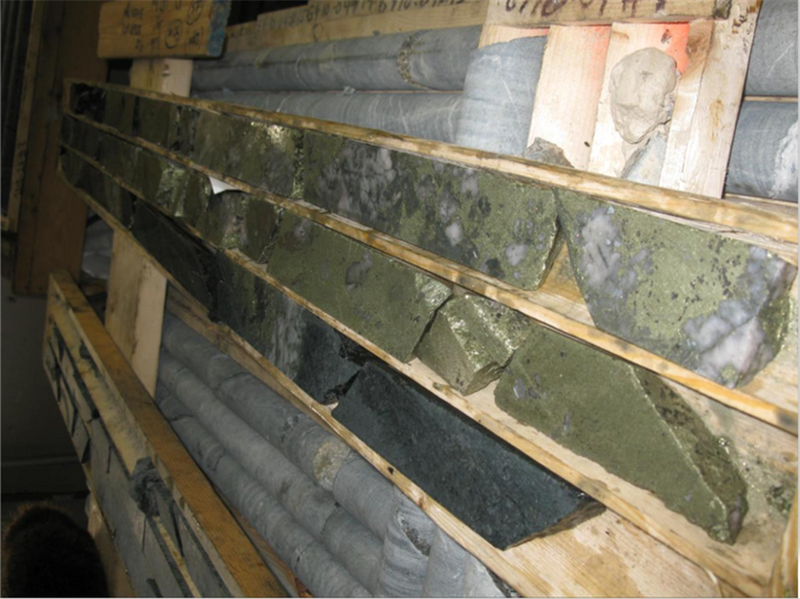 Power Ore intends to re-interpret the mineralization at Opemiska for its suitability for open pit mining of copper, gold, cobalt, silver and molybdenum.